« Where do I get GACUTIL.EXE? 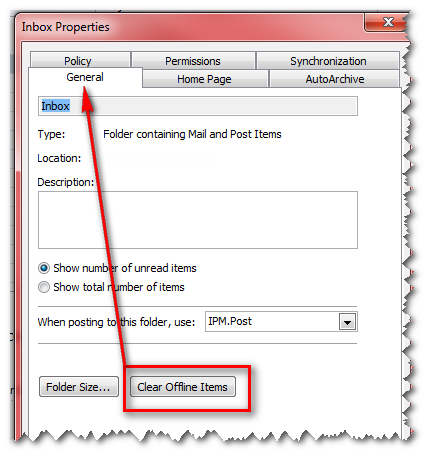 If you have Outlook hooked up to an Exchange mail box (Office 365 in this case) and mail stops dropping into your inbox, try this. Under the General tab, click Clear Offline Items. This will empty the cache. 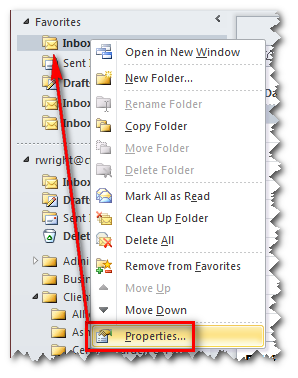 In a scary fashion, all your inbox mail will disappear and (should) will re-sync with Exchange and re-populate. Hopefully this will clear up your issue. It did mine. This entry was posted on April 15, 2015 at 6:23 pm	and is filed under Computer Software. You can follow any responses to this entry through the RSS 2.0 feed. You can leave a response, or trackback from your own site.